Short-Notice Relocation – What to Do? Moving is always stressful, but if you need to relocate from point A to point B on a short notice for whatever reason, things usually become complicated. There are however ways in which you can make the transition on yourself and any member of the household who could be coming with you. As long as you know what you are supposed to do and do it right, you will not have a problem carrying out your moving project in a manner that is going to cover all your needs and personal requirements. Here is how you are going to do it. There might be many reasons why you should move out of your current house or apartment immediately. In any case, however, your best bet is to start planning how you are going to do it right away. Remember that you should not, under any circumstances, let panic overtake you. Instead of wasting precious hours, create a tight moving schedule and start looking for a dependable man and van in Stroud Green N4 or wherever else in London you currently are in order to help you with the transition. Make a list of all the items and pieces of furniture that you are going to take with you, as well as the tasks that need to be covered. Informing your movers about your tight schedule will help you immensely because they will be able to give you some good advice on how to act, what to do and what not to do. It is of utmost importance that you stick to the schedule that you have created for yourself. Packing is the most time and energy-consuming thing on the to-do list you have prepared previously, so it might a good idea to concentrate mainly on it. Since you do not have much time, it is recommended that you carry out a house clearance on the premises as quickly as possible, with the single purpose of getting rid of all the unnecessary things – broken down furniture, outdated appliances, clothes that you no longer wear etc. Do not forget to inform your local council and utility providers for the move. Some utilities take up to two weeks to install, so unless you are eager to spend the first days at the new place without heating, internet or telephone – or all of those, in the worst-case scenario, you’d better do it now. 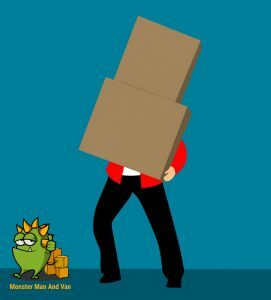 Making a mistake is not something that we’d recommend when you are moving but staying diligent if you are in the middle of a short-notice removal is something to be adamant about. Every misstep will lead to waste of time, which is going to pile up on the stress and strain that you are going through. That is why you should not make compromises with certain things such as the handling and transportation of your most precious possessions. For them, you can use a professional fragile item removal service in London because, during a rushed move, delicate belongings can easily be broken or damaged. It is vital that you build a solid plan for your relocation and stick to it throughout. ← What Is It Like to Live in Redbridge?